and tear out of your comfort. 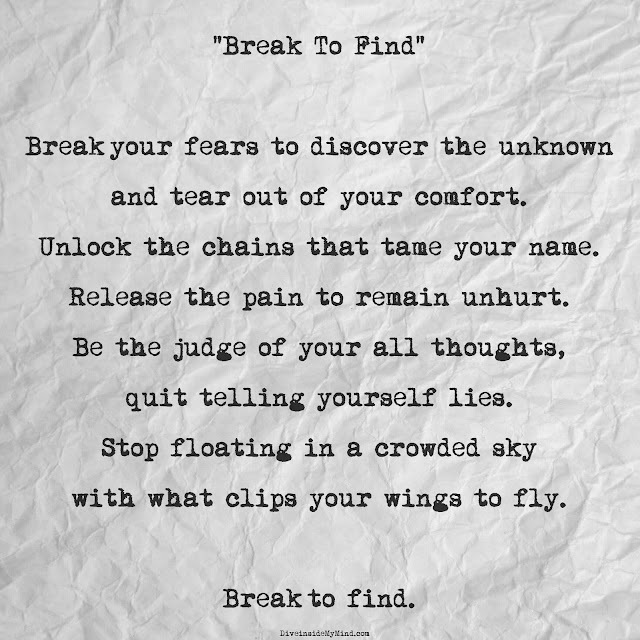 Unlock the chains that tame your name. Release the pain to remain unhurt. with what clips your wings to fly.